Image: amie McCarthy/Getty Images for Princess Grace Foundation-USA. 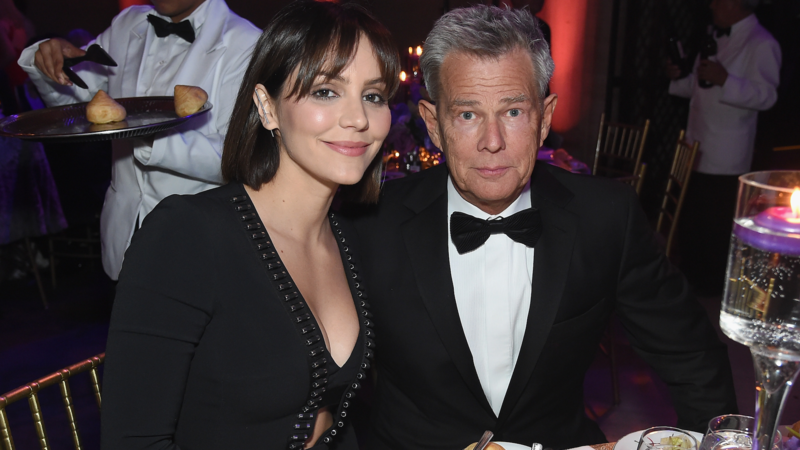 Katharine McPhee is one step closer to taking that walk down the aisle with David Foster. On Tuesday, she revealed she recently spent a day getting fitted for her wedding gown with soon-to-be stepdaughter Jordan Foster. In response to the preview of McPhee’s big day, famous friends and family offered their congratulatory sentiments. Among those weighing in was another future stepdaughter, Erin Foster. “So cuuuuute,” Erin gushed in the photo’s comment thread. The post is the latest in a growing line of examples proving McPhee isn’t having any trouble assimilating into her new family. David’s children from his previous marriages frequently comment on McPhee’s Instagram photos, playfully joking with their dad’s future bride. Hilariously, McPhee hinted at the modern family’s holiday plans in November by posting a doctored photo of the movie poster for Meet the Fosters. In the pic, McPhee replaced the faces of the film’s stars with the heads of David, herself and all five of his daughters: Allison Jones Foster, whom he placed for adoption at age 20 and reconnected with later in life; Amy S. Foster, his daughter with first wife B.J. Cook; and siblings Sara, Erin and Jordan from his marriage to Dyer. McPhee and David got in engaged in July, following months of speculation surrounding their relationship. The couple, who have 35 years between them, haven’t yet confirmed a wedding date. However, they often gush about their deep love for one another in the press and make it clear the entire family is on board with the impending nuptials. Basically, David and McPhee’s crew is setting the bar pretty high for blended families everywhere. Heck, we kind of wish we had an invite to this wedding.